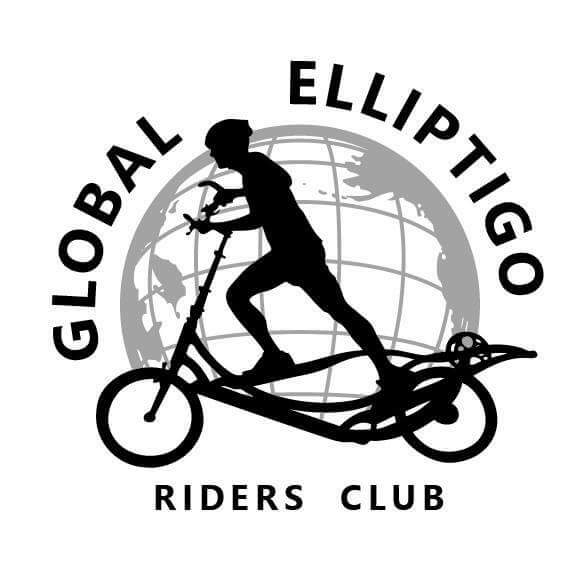 The Global ElliptiGO Riders Club was established by people just like you – enthusiastic ElliptiGO owners who enjoy riding and meeting fellow GOers. We will be bringing you more events, more fun group rides, more programs and more discounts. The 2019 edition of the Club’s GOGO challenge program started March 1, 2019, but it’s not too late to join the fun. Details and registration here. In 2018, GOGO participants rode over 250,000 miles seeking fun, leaderboard glory, and awesome GOGO swag. Dates are set for the 10th ElliptiGO World Championship and Rally Weekend in Solana Beach, CA: October 18-20, 2019. Mark your calendars and plan for another weekend of ElliptiGO community fun! Registration is open for the ElliptiGO Spring Classic, March 29-31, 2019, in Clermont, FL. Details and registration here. The 6th Annual ElliptiGO Winter Classic took place in sunny Scottsdale, AZ, Jan. 18-20, 2019. ElliptiGO riders from across the country gathered for an awesome weekend of riding, socializing and FUN! Information here. The 9th ElliptiGO World Championship and Rally Weekend took place in Solana Beach, CA, October 19-21, 2018. It was an awesome, fun-filled weekend bringing together more than 100 ElliptiGO riders. The 2018 ElliptiGO Winter Classic took place January 12-14 in Phoenix, bringing ElliptiGO riders from across the country for a weekend of riding, socializing and fun! Event details are here. See a video collage of photos from the Classic here. Over 100 Winter Classic 2018 photos taken by Vic Pearson are here. Check out the Club’s store! Available now: Club shirts in two styles and many colors, plus 12 different performance gear items, including jackets, jerseys, hats, and more. Where do our members come from? See this Member Map! The first edition of the Club’s Get Out and GO challenge program was a rousing success. From March 1 – October 31, 2017 participants logged more than 170,000 miles and climbed more than 3 million feet seeking fun, leaderboard glory, and GOGO swag. The final leaderboards are here: GOGO leaderboard page and general GOGO info is here: GOGO 2017. One of this year’s most exciting events, the month-long Team Challenge, ended recently after a very tight contest among fives teams for distance, elevation, and days-ridden honors. We hope you’ll look forward to participating in the 2018 edition! Congratulations to Margarita and Bryan Rypkowski for their winning logo design. Also a very special THANK YOU to everyone that submitted entries! You will see the winning logo & other designs in the upcoming Club t-shirts, stickers & future gear and apparel.